The last few months have been a wild ride, with my little romance novel I adored so much, finally finding its way to readers who love it as much as I do. I am consistently humbled and honored by the fan mail I’ve been receiving regarding my characters, Nick and Alexa, and how they touched readers. Simply put, you have made my life dream come true. I’m thrilled to announce the next step – the launch of the mass market paperback by Barnes and Noble on July 17th! To celebrate this milestone, Barnes and Noble is offering a wonderful deal for pre-order. Only $4.88 and you can have the paperback version in your hand. Buy your copy here and save! Now, I’d like to share an older post I entitled Love Letters back in April 2011. I think you’ll enjoy the post, and I challenge you if you’re a writer to pen a love letter from either your hero or heroine. You may find out a lot about your character you never knew. What would Alexa write to Nick in her love letter? Drop by and give me your feedback, and maybe I’ll draft a letter to post in a future blog! Hope everyone is doing well! Enjoy the post! I was cleaning out some drawers the other day and my hands closed around a worn envelope. When I dragged it out, I saw a familiar old scrawl and my heart did an actual pitter patter. I slowly pulled out the white paper. Unfolded it carefully. The rustle rose up to my ears as sweet as Beethoven. Then read it. An old lover who’d made an impression on my life but was not meant to be my soul-mate. Writing his feelings, stark, and haunted, and passionate, in a bold blue scrawl. It was poetry, and a romance novel, and a symphony in one hard twist. His words carried me back to the precise moment I opened his letter; my uncertainty about our relationship, my trembling fingers as he poured out his heart, the patter of rain against the windowsill in the background as I read his words. Is there anything as romantic and passionate in its simplicity as words written on a plain piece of paper from someone we love? For a lover of words, or someone who is good at expressing his or her feelings but can’t handle the verbal exchange, the love letter is the savior and the last stand of romantic love. Those note cards were more exciting than receiving a text or email. Something about a letter received through the mail makes the exchange seem extra special. “Sometimes I have a rush of feeling, that seems like the passage of a spirit through me, and ought to flow to you like blessing. This is the most beautiful feeling I ever experienced; it is indeed divine, and too much for mortal force: there is no music for it; it can never, I fear me, be expressed…Like sunset it cannot be remembered.” Margaret Fuller, American writer and critic, to James Nathan, April 22nd 1845. “I lie awake the greatest part of the night in thinking of you…my feet carry me of their own accord to your apartment at those hours I used to visit you; but not finding you there, I return with as much sorrow and disappointment as an excluded lover.” Pliny the Younger, Roman writer, to Calpurnia, his third wife 1st century AD. My husband never wrote me a love letter and would probably laugh out loud at the idea of trying to come up with one. But one afternoon, I was searching for my husband’s birth certificate in the drawer he keeps his important papers. My fingers closed around a napkin. I cursed under my breath at finding garbage in his bureau, and pulled it out. Carefully folded, I opened the napkin and found my own handwriting. With sheer astonishment, I realized my husband had kept the cocktail napkin where I wrote my name and phone number on the night we met at a bar. Nine years ago. My heart light, a smile on my lips, I folded the napkin and tucked it back in. That was my own love letter to him. And he has kept it. Writers are lovers of words. Romance novelists are in the profession of love and happily ever afters. A love letter is a tool for our profession. Imagine your hero sitting down and writing out a letter to the heroine. It can be a sentence, a paragraph, or a page. It can be sarcastic, passionate, humorous, or confused. What he says in the letter can give you an insight into his character and how he expresses himself with the heroine. I now find myself the writer of another type of love letter. Each morning I tuck a simple note in my son’s lunchbox. He is learning to read, and is delighted by these surprise notes which help him discover words and lets him know every day that I love him. You are my best friend…I love you sooooo much…Have a wonderful day my big boy…. I complete these love notes with suns and happy faces in magic marker. I treasure these letters and his eagerness to revel in my feelings and words. He tries his own hand at one and surprises me at odd times during the week…I Luv You Mom…You r the best…with little hearts drawn and his signature in large awkward letters adorning the page like the sweetest of perfumes. Stop by and share your experience with love letters – receiving, writing, or just appreciating your favorite. Lovric, Michelle. Love Letters: An Anthology of Passion. Shooting Star Press, NY 1994. 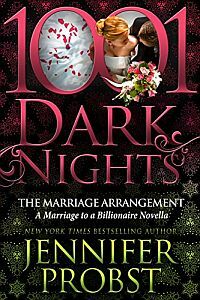 Jennifer is the best romance writer ever! There is a certain book on the best seller list but SORRY Jennifer writes so much better and her books are so much better! You are too sweet! Thanks so much! Did you by any chance go to Lancaster high near buffalo ny. HI Tory, Nope not me! Thanks for the deleted scenes Jennifer!! Loved them! !